So, what happened to NeeNee today. She blew a tire. Someone was nice enough to stop and help change it and I managed to get a new tire relatively quickly. I canned 14 quarts of stewed tomatoes and 7 pints of salsa. Why am I telling you this? That is the reason behind the lateness of this [plus all the stuff I did last night]. It’s also the reason I didn’t take on too many dramas. I was afraid I’d constantly be falling behind. I just don’t know what to think anymore. Well, actually I do know what to think. Asahina was never one who could control the wildness that was the untamed passion of Toru’s. He was, however, able to trust and believe in him absolutely as he loved Toru’s eccentricities and brilliance. Yes, it irked him to be the perpetual number two (lol, that makes me recall the cheesy late night drama Vampire Host), but he was content. The breaking point began when he learned that Toru was seeking the mother who abandoned him. That made Toru less extraordinary. The final straw was when Toru turned down the partnership with JI Tech. Things weren’t going Asahina’s way and he cannot put sole faith in a man who persists in such a project as the personal file system just as an excuse to locate his mother. That being said, I have no idea if Asahina really likes Natsui or not. It’s confusing. I think a part of him does, but I wonder if there isn’t some mixed feelings there or what. This episode actually started with a bit of a rewind. So we go backwards to just before the big leak happens. Toru rejects Yoko’s offer to go up to her apartment since Asahina wouldn’t be home [she’s being a little too blatant here]. His reason is that he has plans elsewhere. Meanwhile, Natsui is dejected. She calls up Ono to tell her about a gift from her trip and Ono invites her out. Where to? A goukoun [group date]. If Natsui had known, then she would not have went. However, she does admirably well believe it or not, although she is still pretty awkward, the men seemed charmed by her. Then in walks Toru and she can’t be more mortified. She quickly has to explain herself and she makes herself out to be a total fool as she thought Toru [since one of the male members claimed a friendship with him] was there for the group date as well. However, Toru wasn’t. He had put in an order of presents to be made with the tomatoes he brought back with them for the shareholders meeting. Natsui helps Toru take care of the matter and take some samples home. She can’t believe she went out on an arranged date and ended up working. She then says that work is her life and if he should ever need her, she’ll be there. She then offers to do her funny Sadako/bean on a plate for him anytime he wants if he needs a pick-me-up. You have to love how self deprecating Natsui is. She really does refer to herself as an idiot who he can talk to and laugh at to relieve his stress. Wow. That girl. 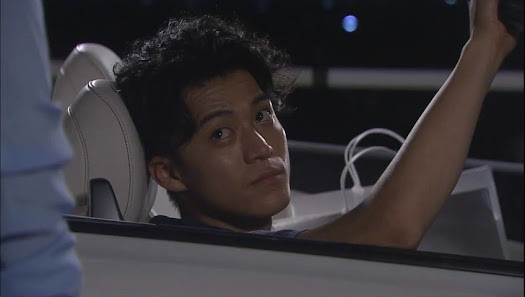 Unfortunately, Toru can’t offer her a ride home since his sports car is filled with the initial gift bags. So he leaves and Natsui gets saddened as there really is no need of her after work hours. The next day Natsui attended a meeting with Asahina. He tells her to report the meeting to Toru and then suddenly stops. He has just recalled that he left his car parked somewhere since the accident. He and Natsui go to claim it and she is horrified by the charge for how long the car was left. Asahina says that he is still unable to drive and Natsui reluctantly admits to having a license. I’m guessing she’s one of the infamous paper drivers that seem to be quite frequent in these shows. It basically means that while she has a license, she doesn’t drive and really isn’t used to it. This next scene really reminds me of the old Asahina. He was having so much fun at Natsui’s expense as you could tell how frightened she was (plus she drove slower than a grandma). He tried so hard to not burst out laughing outright. When he teases her about running a red light, etc. Natsui comments on how he’s like Toru in his treatment of people, but whereas Toru is more open, Asahina is more sneaky, thus she likes Toru’s actions better than Asahina’s. He then says that it is obvious she likes Toru as she always talks about him. Natsui denies this, but Asahina points out she’s transparent. Yep, that she is. They get to the parking garage and Asahina invites her up. Yoko isn’t home after all. Hmm, where have we heard that line before…? These siblings. Natsui, being the proper young lady that she is, immediately balks at this. Asahina lets out a laugh and says he was just kidding. Then he sees his partner in crime walk up. Natsui is just about to turn around, but Asahina quickly hugs her to keep her from noticing the other man. It would look really bad if they were spotted together before the plan is set in motion. We don’t see immediately what happens afterwards as there is a bit of a jump and we then see Natsui leaving in a huff and Asahina scolding what’s his name for showing up. He then hands over a thumbdrive with information on 5 million citizens instead of 500,000. This will have more effect. Asahina then says that his accomplice was always too shortsighted. The three started the company together and Tono wanted to sell it for 100 million. When the other two disagreed and called him shortsighted, he took his initial investment and left. He became a failure while Next Innovation skyrockted. Go figure. Anywho, Tono takes the thumbdrive home and immediately begins his hack job. And then we go back to where the previous episode left off. Toru holds a press conference where he announces that it appears the leak was internal. Next innovation is cooperating with the police to find the hacker. The office is in chaos, stock is plummeting, and employees are under suspicion. The police come to search their personal belongings. Of course, Asahina is excluded because why would he do such a thing? Better to err on the side of caution and insult everybody and not just the newer employees, but that didn’t happen. Of course Natsui stares morosely at Toru the whole time as she knows he must be hurting and Asahina starts at her staring at Toru. Yeah. There is something there. We have a weird love square going on. Well…Asahina’s kind of left out if you think about it. Both Yoko and Natsui like Toru. Toru likes…perhaps both Natsui and Yoko and no one likes Asahina. LOL. Poor guy. At a meeting, Yamagami just wishes to scrap the personal file project for now and concentrate on the upcoming shareholders meeting. Toru doesn’t seem to like this but keeps his mouth shut until Natsui volunteers to meet with the ministry to placate their concerns. Asahina turns this offer down since Natsui is just a temporary employee [even if she is a favorite of the ministry representative]. Natsui insists, but then Toru turns it down and poor Natsui can’t help but feel that she is completely useless to Toru and the company. After all, there’s only two more weeks left on her contract. Thus Natsui does what she can. And what can she do? She prepares for the shareholder’s meeting with Yasuoka [she was so rattled earlier that she actually called him by the wrong name—poor guy]. She stuffs envelopes with the meeting materials while Yasuoka arranges the gifts. They both are putting their faith that Toru will pull the company out of the mess it is currently in. Meanwhile, Yoko has a plan to save the restaurant. She will offer cooking classes and reduced meals for those who attend so there is then less wasted food. She then bows and begs to be allowed to do this as the kitchen staff scorn the idea. She then asks for Nogi’s guidance in taking the simple ingredients and creating a gourmet meal since he has cooking training from France. It looks like Nogi is really affected by this. What will that mean in the grand scheme of things? I don’t know. I actually want those two to hook up so Yoko will leave Toru be so Toru can get together with Natsui. As Natsui crates out the stuff for the meeting, she runs into Yoko. She then starts babbling about how Yoko being together with Toru is better and will solidify the Hyuga-Asahina bond. Boy, that girl really needs to learn to shut her mouth and stop babbling at times. Sigh. 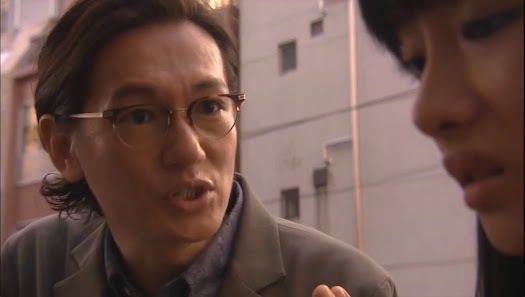 At the meeting, the shareholders are livid and demand to hear Toru’s explanations. They are annoyed when Toru doesn’t prostrate and apologize. Toru won’t do empty gestures. The audience won’t listen and hurl insults and fraud accusations. Then one member who is around Toru’s age and down on his luck talks about how he scraped up $20,000 to invest in Next Innovation. He was proud and inspired by Toru, but now he just doesn’t know what to think. 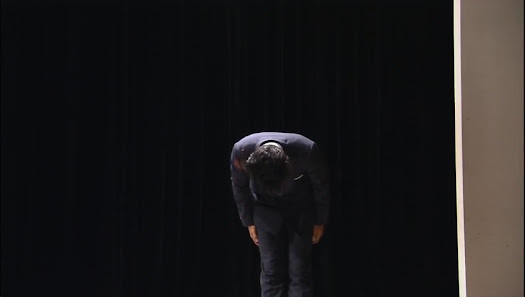 Now Toru executes a 90 degree bow and sincerely apologizes. Why? Here is a young man with hopes and dreams and trust who invested his all in the company. Toru asks his name and swears he will never forget it. He is sorry this project took a downward turn, but he will continue to work hard and rebuild faith and trust in the company and complete the project. He asks his shareholders not to sell as they will see a return in time. This angers the other shareholders and one woman even launches the tomatoes at Toru’s high-handed apology. Needless to say, they want Toru gone as president. The staff members clean up the waste after the meeting while Asahina explodes in Toru’s office. How could Toru do that? If only Toru hadn’t been stubborn and turned down JI, none of this would have happened. That’s probably true…or maybe the happenings would have been delayed until Asahina got annoyed at Toru again. Asahina really gives Toru a dressing down for being immature and handling the situation badly. 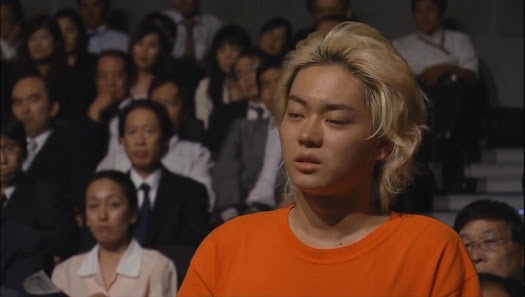 He also accuses Toru of hanging on to this project just to find his mother. Asahina leaves and runs into Natsui who heard it all. She goes to talk, but he tells her to keep quiet since they both know she talks to much. The saddened Natsui then goes into Toru’s office and tells him to clean off the tomatoes. Toru is in misery. Was he wrong after all? I don’t think so. Sure, he wants to find his mother, but you can also see how much he genuinely cared about this project and the good it would do the people in Japan. Unfortunately, this is a time where Natsui can’t find words of comfort. Toru is then notified that Fujikawa wants an update and he sends Natsui and Asahina to handle it. Asahina and Natsui go to meet Fujikawa and return to the company. The ministry wants them under investigation and they must put together files and data. There’s lots to do. Natsui is worried about Toru who has now left the office, but Asahina dissuades her from calling. The two then sit and work on all the things that need to be done. Natsui is relieved that Aahina’s disagreement with Toru didn’t destroy their relationship completely. Asahina then lies through his teeth about following Toru as always and still having faith in him. Natsui is happy that Asahina can be a source of great strength and reliability for Toru. She then goes into his office and sees the stained suit. She picks it up and in walks Asahina. He apologizes for earlier and we see the remainder of the hug scene. She pushes him away saying she won’t fall for his joke that time. Asahina then says it wasn’t a joke, but Natsui can only see Toru. Can she not turn around and look at him for once? Natsui then turns her head and we never see the end to this scene. Grrr. 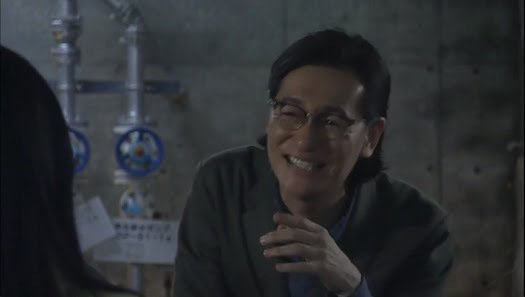 Meanwhile, Toru recalls Natsui’s performance at the goukon with a smile and then remembers her promise to do that for him whenever he needed cheering up. He calls her at the same time Asahina is confessing [her phone was in Asahina’s office and the confession happened in Toru’s]. This annoys Toru and he calls her a liar. You can tell how disappointed he was. Then his bell rings and he rushes to the door thinking it’s the person he’s been wanting to see, but it’s not. There is Yoko and not Natsui. He wasn’t happy about that actually. But Yoko still gets invited in. The two chat and drink and Toru thanks Yoko for keeping him company. It wasn’t Natsui, but it did do him some good. He then gets a phone call, but Yoko stops him from answering it and then confesses again. Then we get their second kiss while Natsui is trying to call him back. Sigh. And that’s it. Looks like Asahina’s duplicity will finally be revealed in the next episode. What will happen to our couples? Oops, forgot to mention, when the stock kept falling, Asahina called Tono and told him to start buying now. NeeNee, thanks for the recap. I’ve been following the recaps for RMPW since you started them. I’m hoping that in episode 7 we move away from the Toru and Yoko thing. The kiss made me very unhappy (NO!!!!!). I look forward to the truth coming out about Asahina. Thanks for all your hard work and for taking some time out of your busy schedule to write the recaps. Hello! I’m glad you’re enjoying them. I was really disappointed with the 2nd kiss, especially with Toru taking initiative at the very end. Given his reaction when he couldn’t reach Natsui, I think he’s mixing his feelings up, or maybe he just desperately needed comfort of any kind. The next episode looks like everything’s going to be revealed about Asahina & since it looks like Natsui’s 2 weeks may be up, I have more hope that Toru will move away from Yoko. I’ve been religiously following Curiousity for the past week, so RMPW was put on a back burner for a while. I skimmed through ep 5, but waited to watch subbed ep 6. Haiz. I don’t like the progression of Yoko and Toru’s relationship. 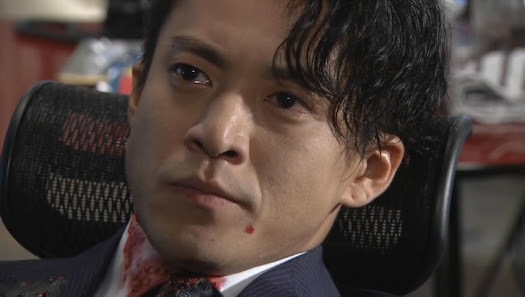 I can see that Toru will think of Makoto when he’s hurting, but Jdramagods decided that it has to be Yoko that consoles him. The look on Toru’s face when the bell rang and he thought that it was Makoto was telling where is heart lies. 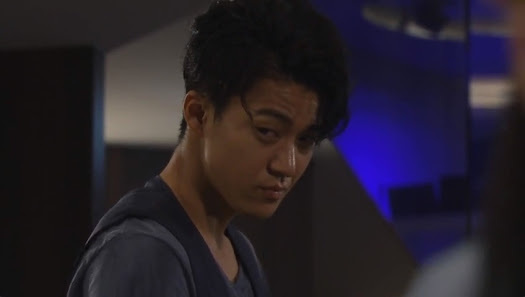 The look of disappointment and hiding it from Yoko was played really well by Oguri. I really don’t know where this “romance” is heading. I’m getting a bit heartsick with the non-progression of Makoto and Toru’s heartbonding moments. I just can’t wrap my head around the idea of Toru with Yoko. I think if left to my own devices, I probably wouldn’t garden or can really as it is so much work, but I do it with my grandparents. The home canned stuff does taste better than the store bought. This episode. Sigh. I hate it when the writers deviate from what I want. Why do they have to keep the OTP apart like that? After having the slowly progress & change, when they need each other the most, you throw in the Asahina siblings instead. I feel a bit bad for Yoko since I believe Toru’s feelings for Makoto are being projected as we know the Toru wanted was NOT Yoko. I’m keeping fingers crossed that we won’t see too much more development there. I’m with you I hope that there is no more development in the Yoko and Toru, “relationship”. I look forward to seeing all of Asahina’s shady actions come to light. Here is hoping that there is a lot more screen time for Makoto and Toru. Thanks again for the recaps. Hoping that next week brings us an episode that fans are more happy with. Hi Nee Nee, Thank you for recapping RMPW, I am new to your blog and enjoy reading it tremendously, thank you so much for sharing your thoughts and letting us non speakers understand what happened in the drama while waiting for subs. Need a favour, may I know which site can I watch RMPW Ep 7 streaming live tonight ? Hmm, I honestly don’t know where you can watch it streaming live. I usually wait for the raws to come out and download them vs. watching it stream. I know there are some sites where you can watch kdramas as they air streaming online, but don’t know if there exists one for jdramas as well. Gomen ne. I live stream RMPW with MacKeyHole, but the quality is really bad compared to Korean live streaming sites. But beggars can’t be choosers, so I take what I can get. You have got to download the application first. Just google it, but I think it’s for Mac. There are probably other sites that can live stream Fuji TV on a Windows PC. My goodness, NeeNee, you are QUICK!!! I suppose I just need to wait till tomorrow to watch it raw….. Let’s hope Ep 7 will have lots of lovey dovey scenes of our favourite couple. Thanks.. I am hoping for some good scenes, too. I want some more good Toru-Natsui moments instead of Toru-Yoko moments. Gomen ne, I can’t until I get my hands on the raws, which won’t be until tomorrow at the earliest + it looks like real life is intervening in the next few days in all the stuff I needs must get done. I shall aim for tomorrow night, but can’t guarantee anything. You know Nee Nee, I am thankful to you for writing the recap however early or late it may be, I shall patiently wait for your next update, till then, go about with your errands and enjoy your day! NeeNee fighting! Looking forward to the recap of episode 7. I saw the raw version and even though I can’t understand a word, it seemed better than episode 6 (although that might be my wishful thinking). Having said that it seems that Asahina is still being all kinds of terrible (evil) (or at least that’s my sense from watching the raw video).